Each year, as the weather heats up in Arizona, we hear of drowning accidents and being pulled from Arizona swimming pools. To prevent drowning accidents, laws and regulations require responsible care for children around pools, as well as pool barriers. During the first week of July, it was reported that two young children were pulled from a swimming pool at a west Phoenix Arizona home and rushed to the hospital. Both children were reported to be in critical condition. ABC15 News reported that indications evidenced that the gate on a pool fence had failed to latch properly. Detectives were still trying to determine who was responsible for the care of the children at the time. One day later, on July 3, a different child drowned in a backyard pool after he pushed out a screen in the Arizona room at his house and fell through into the pool that backed up to the house. Some Arizona cities have pool barrier regulations to prevent child drownings. Arizona homeowners with pools and pool builders need to be familiar with the applicable regulations. For example, within the City of Phoenix, pool barrier options include fences or walls, which must be at least 5 feet tall and at least 20 inches from the waters edge, amongst other things. Gates and latches much be self-closing and self-latching. Latches must be a minimum of 54 inches above ground. 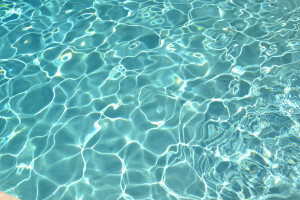 Again, on July 2, a child drowning involving two young children nearly occurred as a result of a latch that was not self -latching, or at least failed to latch properly. That is, barriers, gates and latches actually make a difference, which is the reason for the laws. While there is no substitute for proper adult supervision, pool barriers help to prevent child drowning and must be adequately maintained and inspected. When they do not work, children are at risk, and those responsible for the care and safety of children and others may be held civilly liable for resulting damages. Personal Injury Attorney Randal Hutson began his career successfully working on a major drowning accident case in Arizona. Randal recognizes and understands laws that concern drowning accident claims, and is now accepting Arizona drowning accident cases. For a free consultation with Randal Hutson of The Hutson Law Firm, please call 623-628-7400.